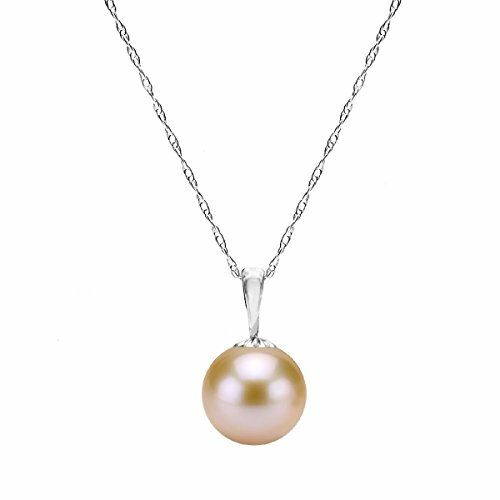 A Beautiful and Elegant 14k Gold Round Pink Freshwater Cultured High Luster Pearl Pendant Necklace 18" Length. This Pendant Includes a Gold Rope Chain, and Secured With Spring-ring Clasp. We Carry Different Size Per Pearl, Different Metal Types, Different Color of Pearl, and Different Pearl Type. Please Contact Us if You Do Not See What You Need. DIRECTLY from THE SOURCE - These freshwater pearls are imported directly from thepearl farms and are assembled in the USA.